Tom of Finland appeared on this blog recently in connection with forthcoming Finnish stamps honoring his work, which is drenched with homoeroticism. The Smurfs (French: Les Schtroumpfs, Dutch: De Smurfen) is a Belgian comic and television franchise centered on a fictional colony of small blue creatures that live in mushroom-shaped houses [the housing shape unites the Smurfs and ToF phallicity] in the forest. The Smurfs were first created and introduced as a series of comic characters by the Belgian comics artist Peyo (pen name of Pierre Culliford) in 1958. 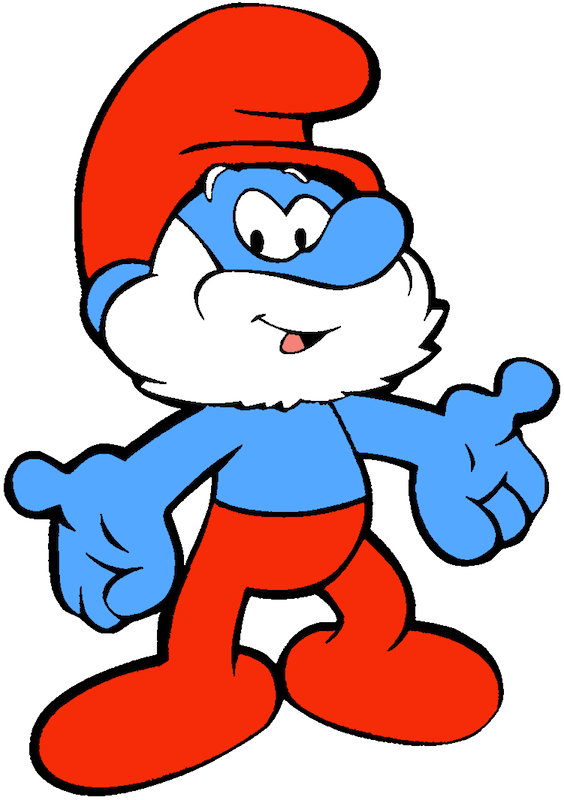 The word “Smurf” is the original Dutch translation of the French “Schtroumpf”, which, according to Peyo, is a word invented during a meal with fellow cartoonist André Franquin, when he could not remember the word salt. There are more than one hundred Smurfs, whose names are based on adjectives that emphasize their characteristics, e.g. “Jokey Smurf”, who likes to play practical jokes on his fellow smurfs, “Clumsy Smurf”, who has a habit of creating havoc unintentionally, and “Smurfette”—the first female Smurf to be introduced in the series. The Smurfs wear Phrygian caps, which represented freedom in Roman times. 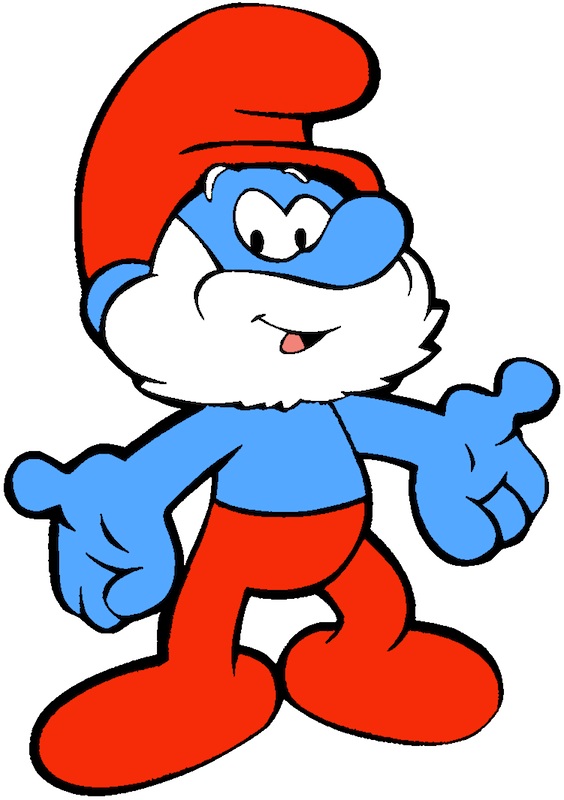 … A characteristic of the Smurf language is the frequent use of the undefinable word “smurf” and its derivatives in a variety of meanings. The Smurfs frequently replace both nouns and verbs in everyday speech with the word “smurf”: “We’re going smurfing on the River Smurf today.” When used as a verb, the word “Smurf” typically means “to make”, “to be”, “to like”, or “to do”. This entry was posted on May 3, 2014 at 4:07 pm and is filed under Gender and sexuality, Language play, Linguistics in the comics, Phallicity. You can follow any responses to this entry through the RSS 2.0 feed. You can leave a response, or trackback from your own site.